Welcome to the Bow Valley Gourmet Hot Lunch web site. 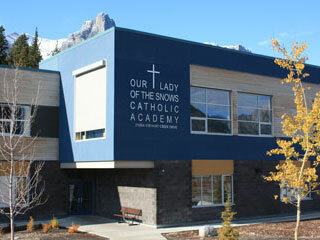 On this site parents will be able to place lunch orders for their children in grades K - 6 at Our Lady of the Snows. Step One: Go to “Click Here to Register” line below the login. Please note that you will need only one user id per family as you can add multiple children to the account in the next step. Step Two: Once you have logged into the system you will be at the “Welcome Screen”. You will need to click on the “Students” button to add your child(ren) to the program. Once you have added your child(ren), you can begin ordering. Thank you & we look forward to serving your Student/s this school year!